Saturday 9/29 morning - Get up at your leisure. If you are going to go on the easy bike stroll and take a guided tour of the sights of Munich, meet in the lobby at 10:00am. 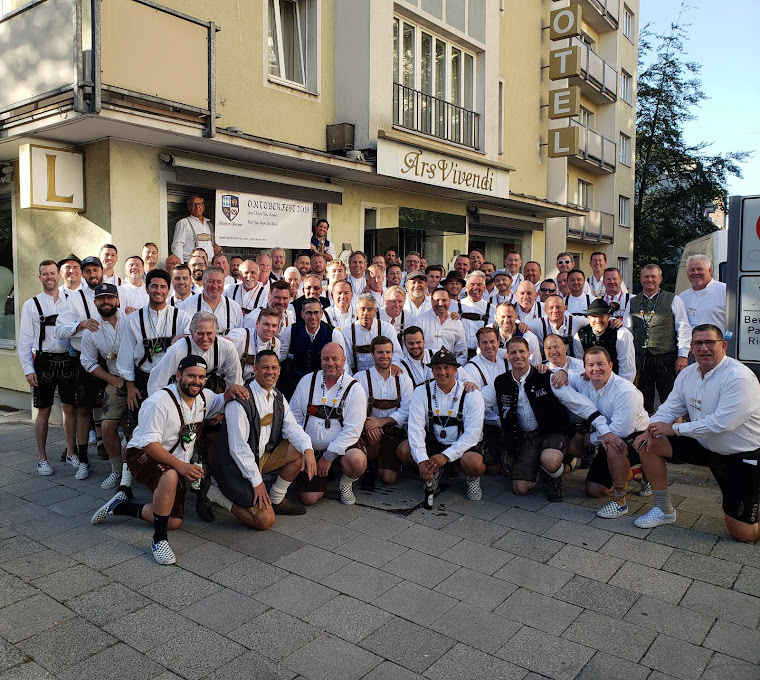 We will go to meet the bike tour guys and take our 4 mile tour and see some of the famous sights of Munich on a non strenuos bike ride. If you don’t go on the bike ride, today would be a good day to walk around the Wies'n and see what else there is going on. If you can't bear to smell the beer, jump on the train and go to the town center (MARIENPLATZ). Munich is a nice city. Explore. If you want to get really adventurous, Dachau (concentration camp) is pretty close. The hotel will have information about Dachau. Ask at the front desk. Whatever you do on Saturday, BE BACK AT THE HOTEL BY 3:30PM! We will be meeting in the lobby/restaurant of Hotel Maria at 3:30pm. We will have our annual award ceremony at this time and it is normally something you do not want to miss. We will be departing for the tents at 5:30pm. We will have our official Ofest Rookie of the Year and HOF inductions at this time. We have reservations at tent 4 (Hacker Festzelt) above. We all need to stay together and enter the tent around 5:45. The reservations start at 6:00pm. If you do not come with the group, the WILL NOT LET YOU IN!!! They will clear some tables for us at that time. It's magical. We will drink all night Saturday. If you are not there with our group, you likely will not get in the tent on Saturday. It is packed and impossible to get in w/o reservations on Saturday. This will be a great night, so be sure to meet in the hotel lobby to get your pass. There is a slight chance that we will be a couple passes short on Saturday but we have connections at the doors.